PPM Plumbing is a full-service plumbing company who has been around for more than 18 years servicing the plumbing needs of our many clients in and around Garland and Dallas Texas. We continue to offer a wide array of repair and maintenance plumbing services to both homeowners and businesses. Our goal is to be the premier provider of plumbing repair and maintenance services. We will continue to listen to customers and expand service offerings to meet and exceed their changing needs. 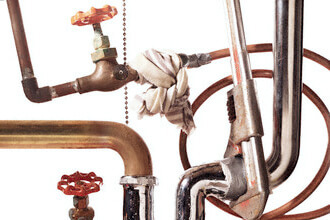 Plumbing systems are a fundamental and vital part of your home or business. These systems must be maintained by a licensed professional who understands the sometime intricate details related to the performance and maintenance of your plumbing. Trust your plumbing to the professionals at PPM Plumbing. Our offer to our clients is simple: Honest hard work at a very competitive rate. 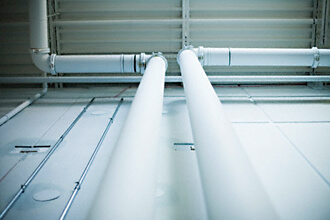 Specializes in commercial plumbing repairs ranging from simple to complex. PPM Plumbing has experienced licensed plumbers who are able to handle all aspects of plumbing repairs. Whether it is a school, hotel, apartment or restaurant PPM Plumbing will work closely with your project manager or general contractor to get the job done. From design-build to specification work, we can help improve the outcome of the final project. 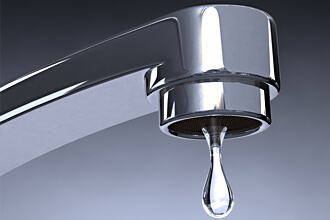 A faucet leak is one of the most common home improvement problems. From bathrooms to kitchens, worn out washers, seats, o-rings, and seals can cause a faucet leak that ranges from inconvenient to catastrophic. Most leaky faucets are within reach of the average homeowner to fix with the right tools. If you have a leaky faucet and you prefer professional assistance to address the problem, contact PPM Plumbing and we will be happy to come out and take care of your. PPM Plumbing has licensed backflow testers that specializes in commercial and residential backflow installation and testing. 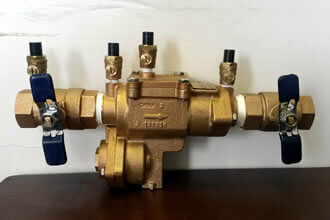 We install RPZ, Double Checks, PVB, and AVB Assemblies. PPM Plumbing is a full-service plumbing company who has been around for more than 18 years servicing the plumbing needs of our many clients. We continue to offer a wide array of repair and maintenance services to both homeowners and businesses. Our goal is to be the premier provider of plumbing repair and maintenance services. We will continue to listen to customers and expand service offerings to meet and exceed their changing needs. 1. We stand behind our work and have been around for almost 18 years. 2. We love our customers, and we want them to be happy with our service. 3. We care about people, so we run our business like a family. 4. We care about the environment. That is why everyday we are helping our customers to make choices that will enable them to make their homes more energy efficient. We are helping them to save water and reduce the cost of their utility bills. 5. We care about our community. We are a local company, not a chain. We hire from our local Texas communities. We live and work here, pay taxes here and shop for products and services here. Like many of our customers, we support local charities, churches and community organizations. PPM Plumbing provides same day emergency plumber services in most areas to remedy your plumbing emergency quickly. Rashad is so helpful and experienced in plumbing. He always fixes my issues quickly and efficiently, with a smile. So thankful for PPM Plumbing. PPM Plumbing is a great company and the front desk people are so nice and welcoming. Charles that came out to the house to do the work is so respectful, knowledgeable, informative and professional I cannot say enough about him or his awesome work ethic. Charles and his team are the best. They took care of everything for me in no time at all. You know they care about you and know how to take care of it. I would say call April if you need Charles to take care of your Plumbing. Thank you guys so much.